Drip campaigns are powerful email marketing tools that help you nurture customer relationships. They also help keep your email list healthy and responsive. Drip marketing for loan officers in particular is a great way to gain referrals and new customers. Well-executed drip campaigns include a multi-faceted combination of great information, useful tips and both online and offline media. A dynamic automated communication channel that allows you to connect with and stay in touch with prospects. The ability to engage prospects and convert them into leads. The opportunity to build credibility and trust. 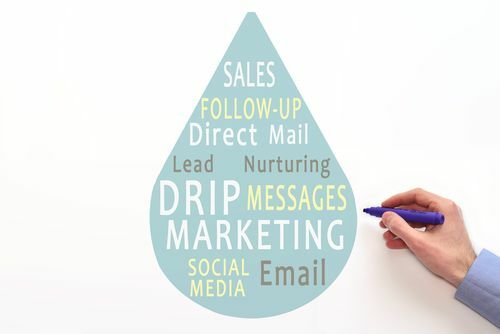 Drip campaigns can be set up to keep in touch with your existing customers, generate referrals, for turning those prospects into loyal customers, or for building your social media following. Try these creative tips for your own successful drip campaigns. Segment your email list and create personalized emails. Try creating multiple designs for different segments and use a variety of images, layouts, content and subject lines. Strategically schedule your emails to guide your customers through the sales process. To minimize unsubscribes, do not inundate prospects’ inboxes. Produce valuable content that explains how you can solve a problem or meet a need. Stay away from hard sell techniques, but do be clear on what benefits prospects will receive. Examples include tips for getting their home ready to sell, questions to ask their lender, etc. The secret to attracting prospects, gaining referrals and retaining customers is consistently staying in touch. This is where drip marketing for loan officers wins the day because it gives you the ability to stay on customers’ minds. Remember, a contact who may not be ready for your services today may be ready next week, next month, or some other time in the future. Don’t give them a reason to forget about you! A steady, thoughtful series of emails is a proven method for helping you drive new business and nurture relationships with prospects, current and past customers, and referral partners.